With the January inauguration of the new administration came a number of changes that have injected a certain level of uncertainty into some important aspects of business which could have a ripple effect into the already shifting Napa Valley real estate market. The first change was the executive order to ban non-U.S. citizens entering the U.S. from certain countries. This caused an immediate employee travel ban by numerous prominent San Francisco and Bay Area employers for potentially affected employees. Second came the announcement that the administration plans to double the qualifying salary threshold from $65,000 to $130,000 for an H-1B visa, making it much harder for employers to fill positions with foreign talent, a not insignificant source of employees in the high tech and bio tech sectors. Both of these injected uncertainty and potential business disruption into the business community, with some high profile CEO’s speaking out against them because of fears of damage to their businesses. On a stabilizing note, mortgage rates eased off slightly (about 1/8 percent) in January. However, most lenders expect them to rise somewhat throughout the year, to around 5% by year’s end. 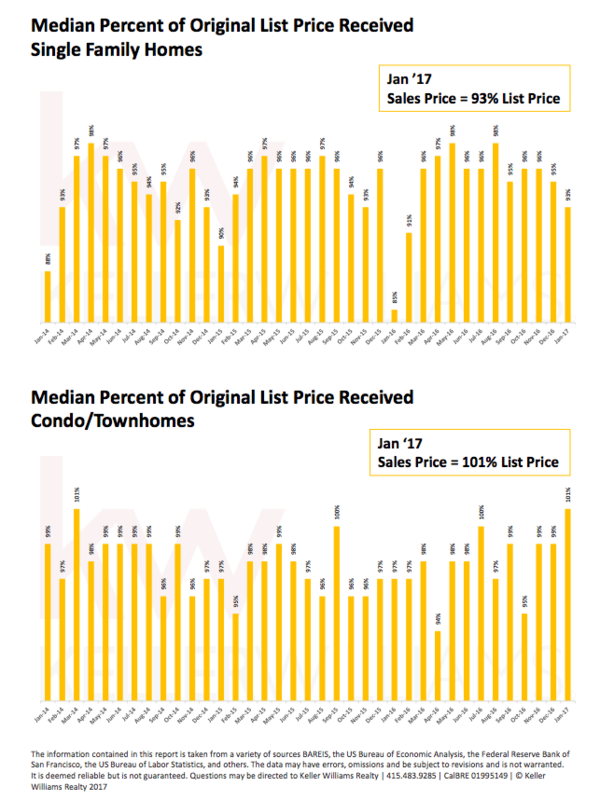 home sales prices rose 16.9% year-on-year, there were 5.3% fewer sales than last January. 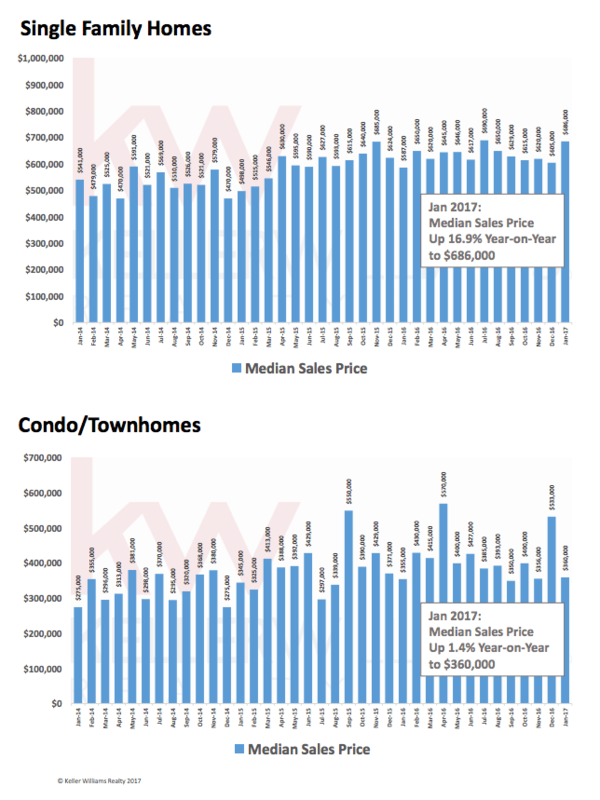 Sellers currently have the upper hand in the condo/townhome market as well, rising to 101% of list price received on their offers and median sales prices up 1.4% year-on-year. 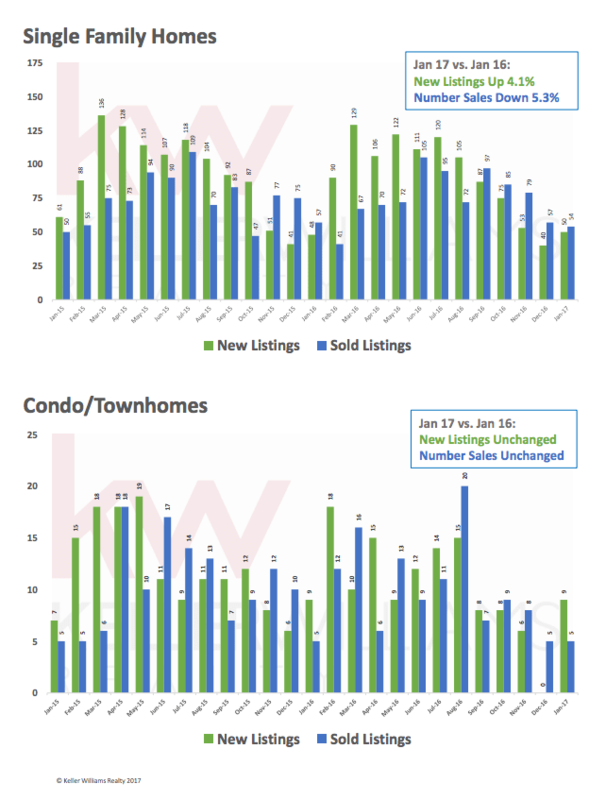 Inventory is at only 1.6 months, the lowest level in January in the past four years. 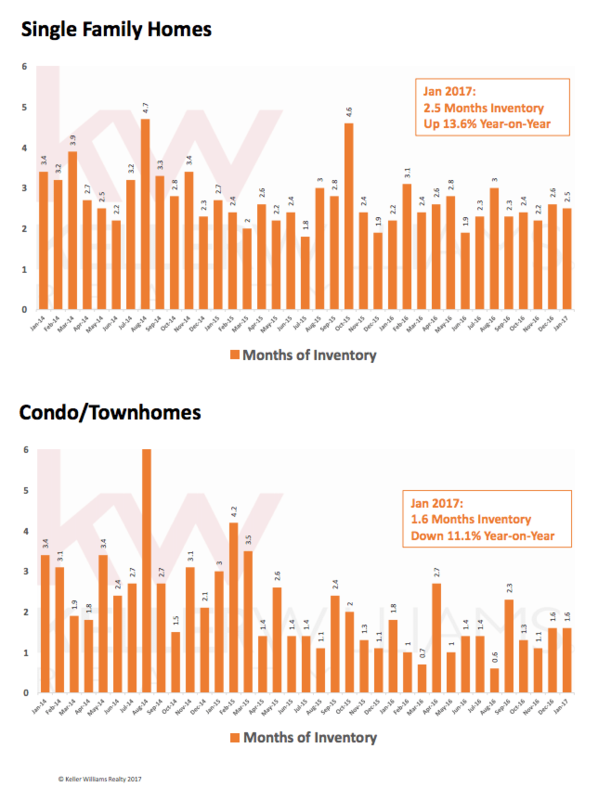 This is likely to keep the condo market strong for sellers this year, particularly with the number of out-of-area buyers keeping demand high.